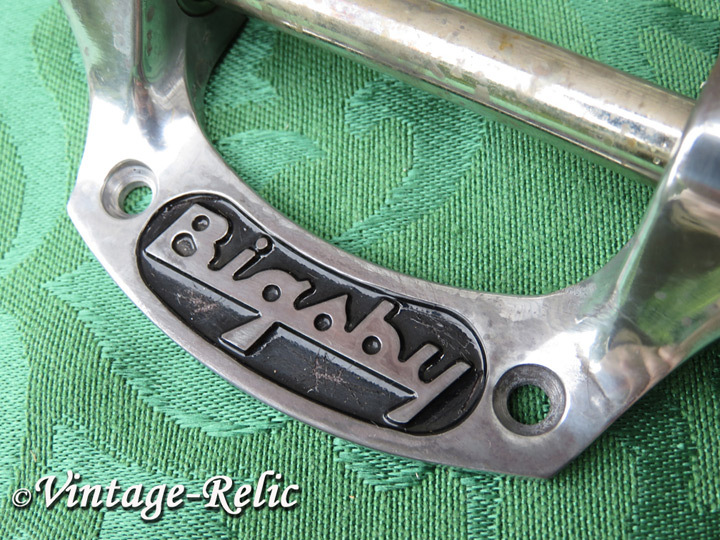 "Bigsby B5 USA Tailpiece [aged]"
Aged RELIC Bigsby B5 USA aluminum/nickel vibrato tailpiece. New, recentlyaged for a 1950s 1960s 1970s vintage look. 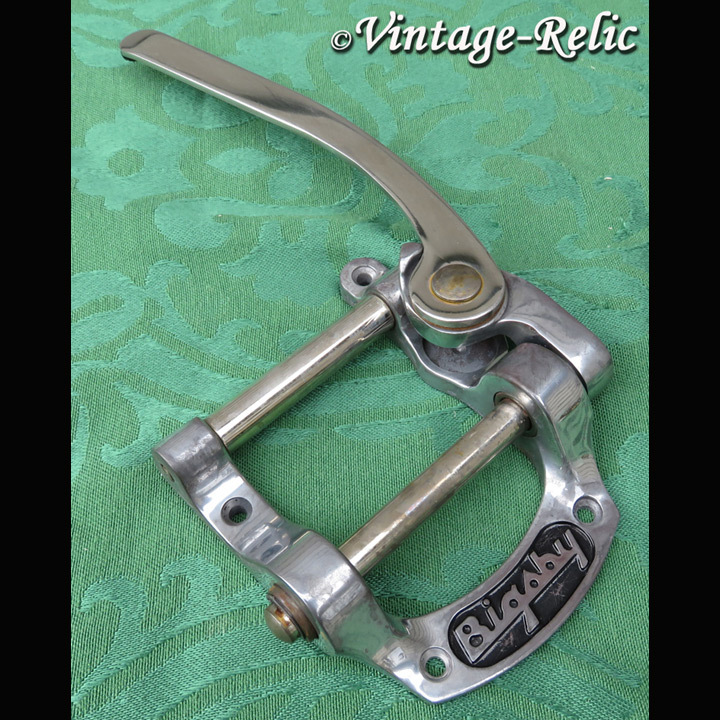 Perfect for your Gibson SG Les Paul Special vintage or Historic Custom Shop or Fender Telecaster. 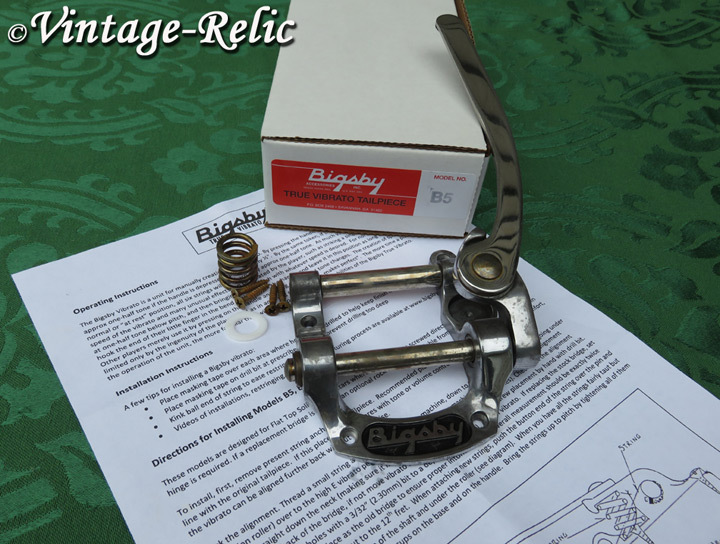 Includes all mounting hardware, instructions, original box. Photos show typical "medium" relic; you may select "light" or "heavy" below. 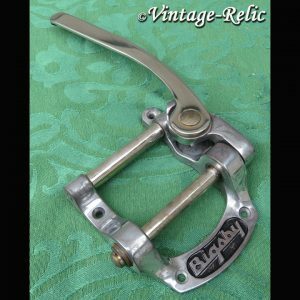 Designed For Flat Top Solidbody Electric Guitars Such As Gibson® SG®, Gibson® Les Paul® Special, Rickenbacker® 325, And Fender® Telecaster®. 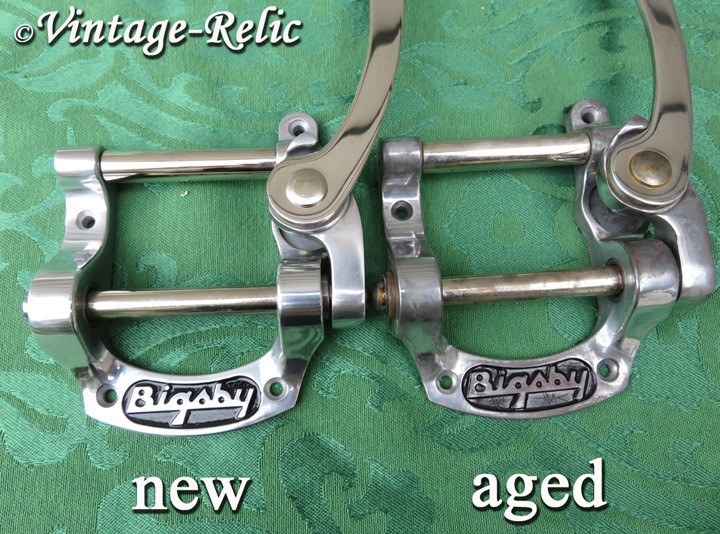 Sometimes Referred To As The Bigsby® Horseshoe. Approximate Weight: 287 Grams/10.1 oz.